I have recently gotten into the hobby of penpaling. I was supposed to have only three, but now I have *ahem* seven. So in today’s post, I will share with you guys a few things you can send to your penpals! If you are looking for a penpal and have nowhere to look you can go to this awesome (and safe website) called globalpenfriends. Or you can comment down below that your interested and maybe someone else will reply and ask to be your penpal. For right now I am closed for new penpals because I already have way tooo many. But I am open to being e-pals if you want. But now, let’s get on to the post. The first and most basic thing to put in your penpal letter is a letter. Even if you only send a letter, you can jazz it up and make it cute and super special! Doodle, add quotes and use fancy fonts! Washi tape is cute and adorable, and if your penpal is a crafty artsy person I am sure they would appreciate some. You can wrap it around a stick, tag or piece of paper. Art pieces are really cute and simple. Draw something your penpal loves like ducks or sunflowers. 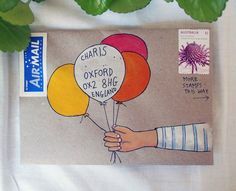 When it comes to penpaling, sending cute scraps of paper or extra washi and stuff Is great! You can use scraps to make collages and if your penpal is creative they will probably find a way to use it. Packaged objects like tea and candy are great and fun to send to your penpal. I always send my penpals tea bags so they can drink it while reading my letters! Envelopes can be transformed into beautiful masterpieces. I try and usually fail, but there are some really pretty things you can do! Has your penpal mentioned that they wanted pins? Maybe you can make one for them. Make thinks based on your penpals personality or things they like and want. I hope this post helped! Thanks for reading! Do you have a penpal? What are your favorite things to send? welcome back to my isty-bitsy corner of the web! Here this week’s very delayed recent reads! As you all may know I love the book, Jane Eyre. In fact, Jane Eyre is one of my favorite books. It is a powerful narrative featuring a bold heroine and mystery! I really recommend this book to anyone who is looking for a great book to read! I have read the original Diary of Anne Frank and several graphic adaptations and this my favorite! The illustrations capture the story beautifully and I love the artist’s art style! I really loved this book and I recommend this book to everyone! Okay, so I read the Giver a while back and thought it was pretty cool, now I reread it and realized I NEED ANSWERS WHAT HAPPENS NEXT!? I look it up and find out there’s a whole series and I realized that I NEED TO GET ALL THE BOOKS! So yeah, you guys may not be able to tell BUT I REALLY LOVED THIS BOOK! ITSSS SOOOO GOOOOD! I was surprised by its depth, considering its a juvenile book but like always Lois Lowry always seems to impress me!! ITS SO GOOD YOU NEED TO READ IT! THIS BOOK IS SO CUTE! Okay, first of all, it covers every bookworm’s dream, TO JUMP INTO BOOKS!!! AM I RIGHT? Don’t you ever just want to pull out your favorite book and go in it and meet all your FICTIONAL FAM AND CRUSHES!! !-oh its just me… Ah, okay! I Have read the story thieves series before and decided to read them again and I LOVE IT SO MUCH ITS SO AWESOME AND THE CHARACTERS ARE JUST AAAAAAAAAAAAAH! The last thing I have to show you all is something that I made for my book club. For my book club, we read Jane Eyre and made Jane Eyre inspired cereal boxes! It was a lot of fun! Here are some photos I have of my process! What books have you read recently? Do you consider reading any of the books on my list?